A classic burger and fries and a waffle burger and sweet potato fries at 8oz Burger, Leopold Street. Restaurants across Sheffield will offer special fixed price menus to mark a new initiative celebrating the city’s dining scene. 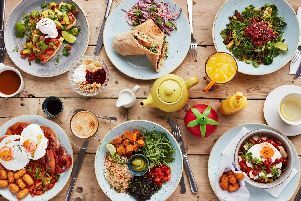 It will take place from September 21 to 28, and some 50 restaurants have signed up to offer menus from £5 to £15 per person. The range of cuisines on offer during the week is vast, from sushi to barbecue and curry to burgers. To take part, visit www.dinesheffield.co.uk and download vouchers for the restaurant you wish to visit.